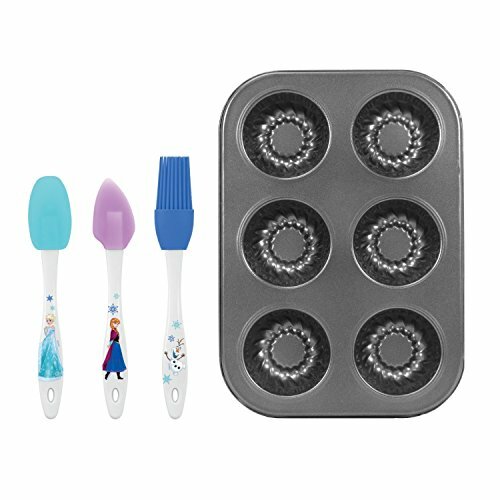 Product Description: Introduce your little ones to the world of baking with this 4-piece cupcake set! It's great for beginner bakers because it's simple but has all the necessary tools for your kid's first batch of goodies. Also makes for a great birthday or Christmas gift. Set is designed for kids ages 6+. Always have an adult supervisor present while using. 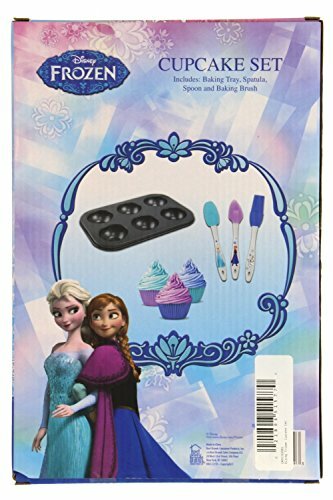 Each set includes: 1 metal baking tray, 1 turquoise spatula, 1 light purple mixing spoon, and 1 dark blue baking brush. No decorating supplies or recipes are included. 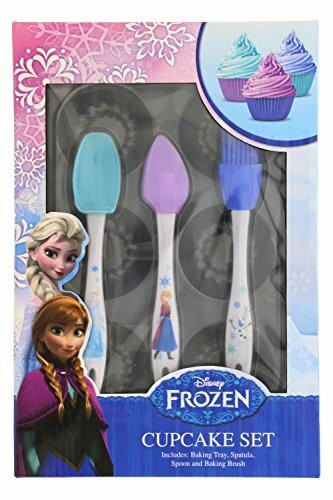 Give your kid(s) the opportunity to bake with Elsa, Anna, and Olaf through this durable, high quality cupcake set. If you have any questions about this product by Best Brands, contact us by completing and submitting the form below. If you are looking for a specif part number, please include it with your message.